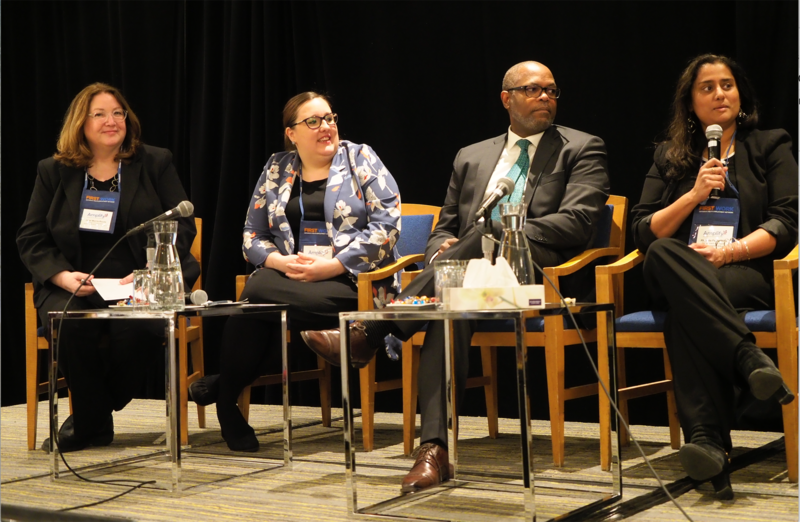 From left to right: Janet Morris-Reade of BC, Ashley Boha of Saskatchewan, Mark Beckles from RBC, Rhonda Fernandez of Future Skills Centre - Government of Canada. Missing from the photo are Valerie Roy of Quebec,and Gladys Okine of Ontario. 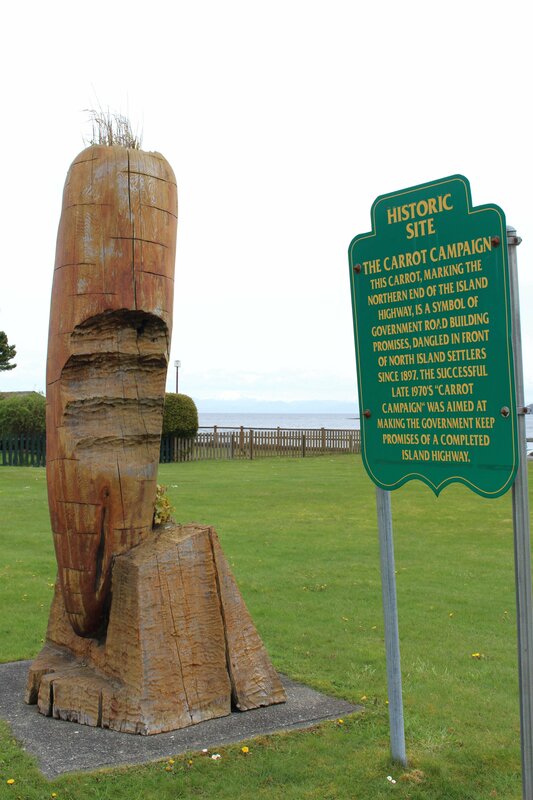 the Canadian Coalition of Community-Based Employability Training (CCCBET), I was asked to represent BC. Because of the changes anticipated to the Ontario funding system, I was very popular at the First Work Amplify Conference in Toronto where the panel took place. From what I can gather, the funding model is not currently an outcomes model, but rather an output model. This means there is core project funding with some payments for thresholds reached. How they determine the thresholds is different from the model we have here. With the political shift in Ontario -- you likely have heard about new premier Doug Ford's dynamic ideas -- there is a possibility that the new framework would have employment services managed and delivered by municipal governments versus community service providers. (Some community services are already being delivered this way.) Early indicators suggest that the new model will create several large shifts in the way services are offered and compensated. All eyes are on the WorkBC 2.0 model and how things will turn out here. Telling those present that BC is only two weeks into the new contract and that we likely won't have results on the new model until the fall was met with exasperation and concern. As a way of supporting our colleagues in Ontario and debriefing information of what we wish we had known before going into the WorkBC procurement process, I would like to invite you to provide me and the Ontario community-based service providers with your advice for them. What questions do you wish you'd asked? What partnerships did you wish you'd made? What were the unexpected SNAFUs to look out for? And most importantly, what were the positive innovations that came out of the experience? If you would like to provide your advice anonymously, just let me know and I will remove all identifying information before I share it. Ontario is watching us, and the for the future of their service providers and more importantly, the clients they serve, please take a moment to share your thoughts. The employment sector loses two leaders. It is with profound sadness that I write this. I have lost two colleagues this week who have touched my life in ways I could not even imagine. Dr. Donna Wood (at left above) had little time for some of my uninformed questions and although she was always polite, in my case she didn't suffer fools gladly. 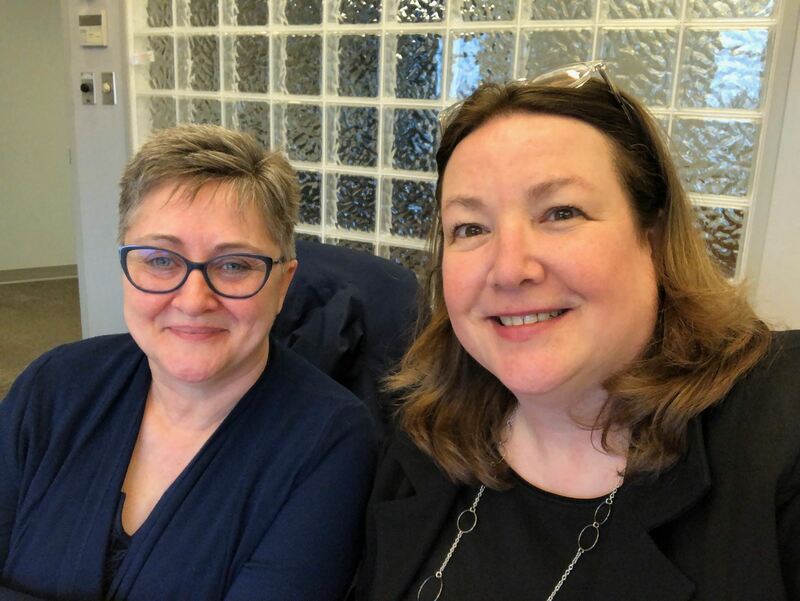 She, along with former ASPECT CEO Norma Strachan, would meet every few months over lunch to discuss employment devolution, funding, policy, and ways to move these issues forward through our work on the Canadian Coalition of Community-Based Employability Training (CCCBET) board of directors. At these lunches, I would take a copious amount of notes where I would flag ideas or concepts that I didn't quite understand to google later. I felt like I was trying to direct-download a one-terabyte file with only one gigabyte of available memory. In between our in-person meetings, Donna would contact me to share the latest research publication and participated in the video conference calls with the CCCBET board. 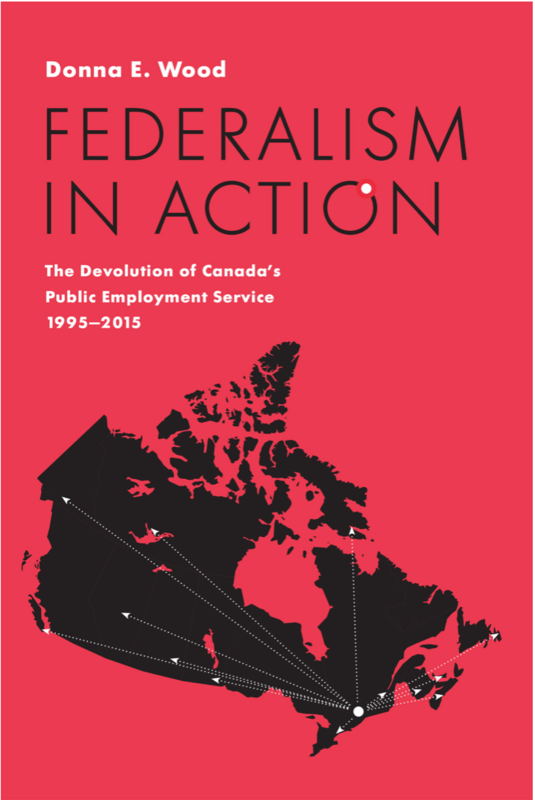 A year ago, the cumulation of her biggest research project was released in her book Federalism in Action: the Devolution of Canada’s Public Employment Service 1995-2015. I have mentioned Donna's work in Aspectives several times and invited Donna to speak on it at our last ASPECT Conference in November. (click here to see her slide presentation) In her book, Donna breaks down the choices that individual provinces made when public employment services were devolved from the Federal government to the Provincial government. As a relative newcomer who stepped into my position after someone who had been here for almost 20 years, the historical perspective and analysis of decisions made throughout a 10-year period is golden. It's something that all new leaders, bureaucrats, and politicians responsible for leading employment programs should know. As my promise to Donna, I and my CCCBET colleagues will be carrying her legacy forward to those who make the decisions and create the policy. Check out Donna's blog for some updates. Donna, you will be missed but your contributions to the sector are in safe hands. I first met Rhonda Terbasket (at right above) at the Summer Labour Market Conference in 2016 in Burnaby. Her first question to me was, "who are your people?" She then proceeded to tell me the story of how she worked with a client and a college program administrator who wanted to eject the client for his behaviour. She provided context into the client's history, the expectations of the school, and how bringing them all together, sharing indigenous perspectives, and figuring out a solution allowed this client to complete the program and thrive. Through telling about her experiences, Rhonda enlightened me to some of the challenges she encountered and the innovative solutions she used to serve the needs of her clients. Later at a BCCDA conference, I attended a workshop that Rhonda presented that helped me understand the complexity of bringing together indigenous and "European" work culture. Although I had attended several sessions about reconciliation, this was the first time that I didn't feel guilty for the actions of my ancestors. With Karen Abraham's (Okanagan Training and Development Council) help, we were able to bring Rhonda to the 2018 ASPECT Conference to present and were investigating presenting a series of webinars for service providers and government to educate us all in the kind patient way I experienced when I first met Rhonda. Thank you, Rhonda, for being a dear colleague and friend. Please take a moment to remember Donna and Rhonda and thank them for their contributions to the sector. Getting ready to say good-bye to our retiring board members and welcome to our new! 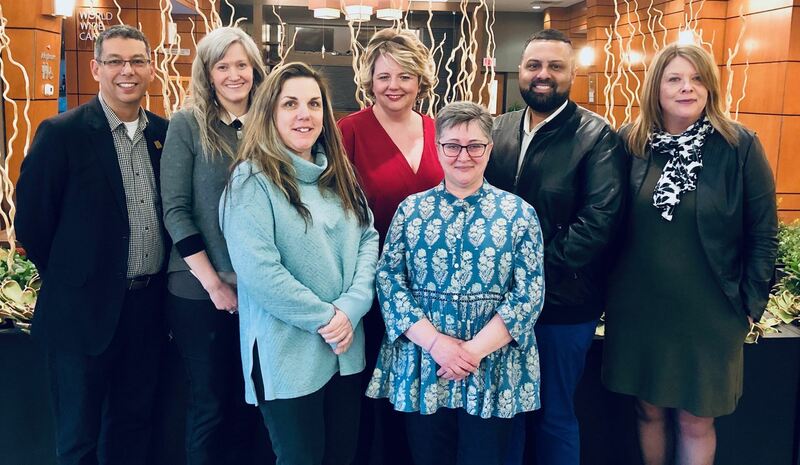 From left to right John Dawson, Annette Borrows, Lori Forgeron, Minakshi Bagai, Doug Preston, Debbie Samsom, Robert Bryce, Stacey Tyers, Kim Lauritsen, and missing, Christine Willows. It's a rather melancholy time of year as I prepare to thank and say good-bye to our board members who are leaving the board of directors. Especially this group as we have accomplished so much together in the past few years. John Dawson has served on the board for 8 years and in the demanding position as president for the past 3 years. He has been my partner, mentor, and teacher as I navigated the CEO position after Norma Strachan's retirement in 2016. Thanks to his leadership, we have had a team of board members who have provided guidance through one of the financially challenging shifts for ASPECT and helped secure our future for many more years. Annette Borrows has been a clear voice on the board ensuring that inclusive employment stays at the front of mind. 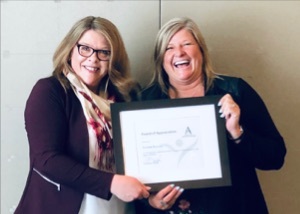 She has donated countless hours contributing to an advocacy charter and will be leaving us to focus on her duties as President of the Canadian Association of Supported Employment. 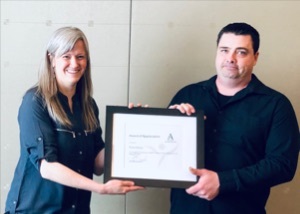 Minaskshi Bagai, Debbie Samsom, and Robert Bryce -- our finance committee -- have supported the financial challenges of ASPECT as we moved to more efficient operations. Robert has been serving as Treasurer and I thank him for his support and leadership. Sadly, all three board members have been affected by the new WorkBC contract awards and will not be returning. Doug Preston, although retired from the sector, has been utilizing his governance expertise and helped navigate the association through the Societies Act Transition, ensuring that we have checks and balances in our policies and procedures. He has acted as Secretary for the association. Christine Willow has chaired our Personnel Committee and has brought a level of professionalism to my quarterly reviews while making sure that the business plans and budgets were designed for future growth. 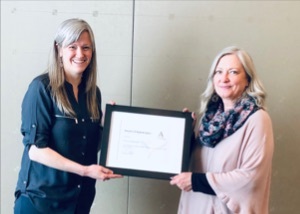 Stacey Tyers, although her time was short on the board, provided guidance based on her years of board governance, providing a deep understanding of how boards make decisions. Thankfully, Lori Forgeron and Kim Lauritsen have volunteered to remain on the board and take on leadership roles as chair of the governance committee and Secretary respectively. Although new at this time last year, both board members have jumped in and provided valuable and informed guidance throughout the year. The ASPECT AGM will take place on Wednesday, March 13 at the Four Points Sheraton Vancouver Airport Hotel in Richmond. There we will say good-bye and acknowledge those volunteers leaving. Pleasejoin us to show your appreciation to these dedicated volunteers for their hard work on your behalf over the years. With two returning board members, we will welcome 5 new board members who like their predecessors, are also leaders in the sector. At the AGM, the nominees will be voted in to serve their first 2-year term. 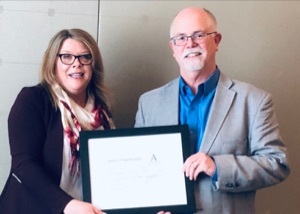 On behalf of ASPECT members and myself, thank you to John, Annette, Minakshi, Debbie, Doug, Robert, Stacey, and Christine for their generosity of time, expertise and leadership to ASPECT and the employment sector. 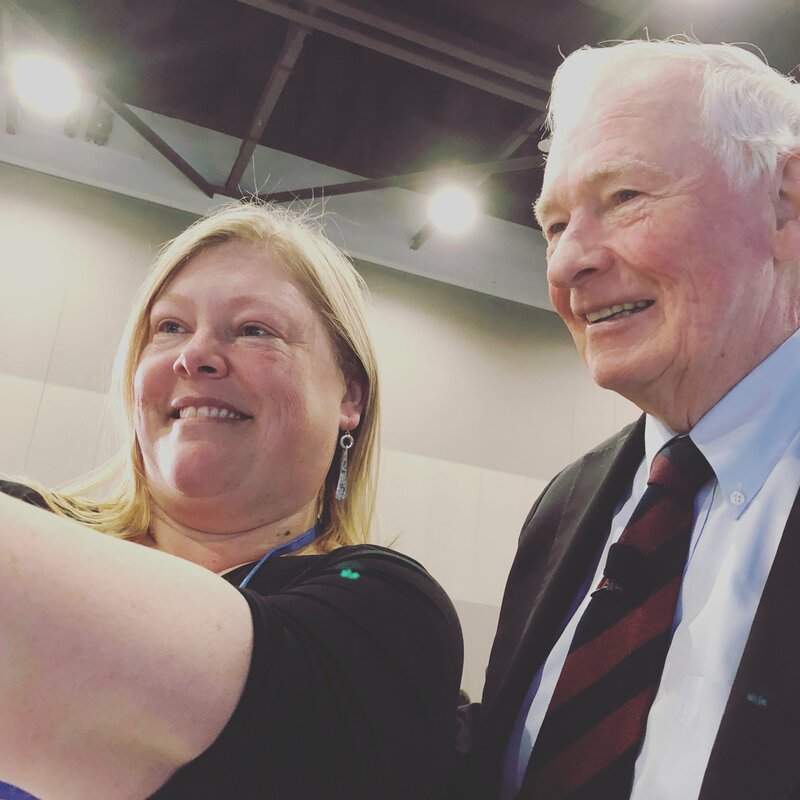 This year I wanted to meet Deputy Minister of Social Development and Poverty Reduction, David Galbraith, to introduce myself in person and find out how the answers to questions raised during the WorkBC conference call was going. He said that we can expect them soon and reiterated how the Ministry wants to work collaboratively with ASPECT and WorkBC contractors. I hadn't yet met the new Executive Director for Inclusion BC, Karla Verschoor, and wanted to introduce myself, talk about her appearance on the news the night before, and chat about how we can work together on some initiatives. She's only been in the job for a few months, so we made a plan to meet when she wasn't quite so busy. I also chatted with Executive Director, Rick FitzZaland, and Director of Programs and Services, Rebecca Lang from the Federation of Social Services of BC. We discussed the funding challenges for our members and possible actions we might take together after the Poverty Reduction Strategy is announced in the spring. I visited with several of my contacts who represent employer groups and discussed ASPECT's plans for an Employer-Service Provider Summit in Richmond in June. Finally, I sat near the front of the stakeholder group which allowed me to eavesdrop on many of the media interviews, the business stakeholder strategy sessions, and see the Vancouver Board of Trade fill out their BC Budget Report Card for all the cameras. There's so much that's going on during the Lock Up and I use every moment on behalf of ASPECT members to promote the association, forge partnerships with others, and deepen my understanding of the provincial budget process. This year I picked up some nugget strategies that I plan to use next year. Stay tuned! About a week and a half ago, ASPECT participated in a conference call with the Minister of Social Development and Poverty Reduction, Hon. Shane Simpson, his Deputy Minister David Galbraith, his Assistant Deputy Minister Chris Brown, ministry staff, and successful WorkBC contractors and their subcontractors. 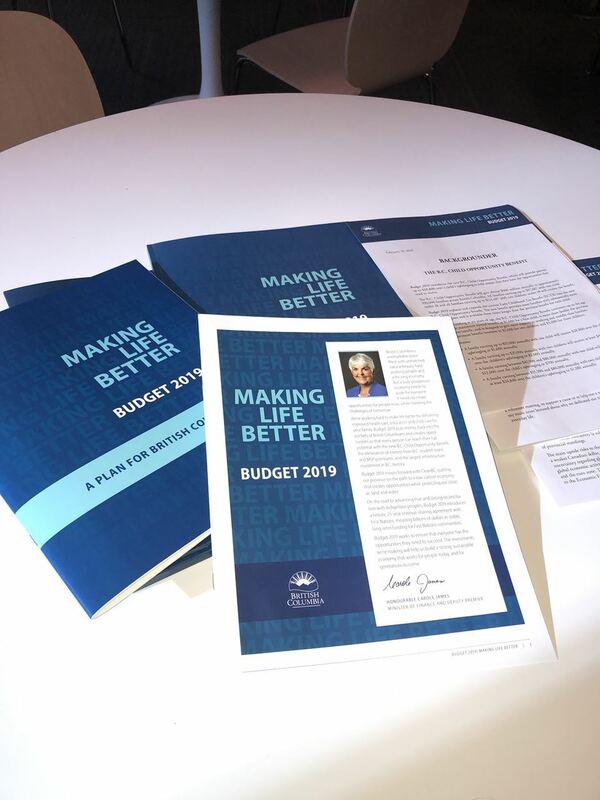 There were approximately 140 lines dialed into the call in which the Minister and his staff walked through key changes in the WorkBC model, intended benefits, and the key performance indicators that they would be monitoring. The Minister and staff proposed some discussion questions and asked for further questions to be submitted in advance and after the meeting. Some questions were addressed, but the list was long and we were promised that all questions would be answered in a couple of weeks. 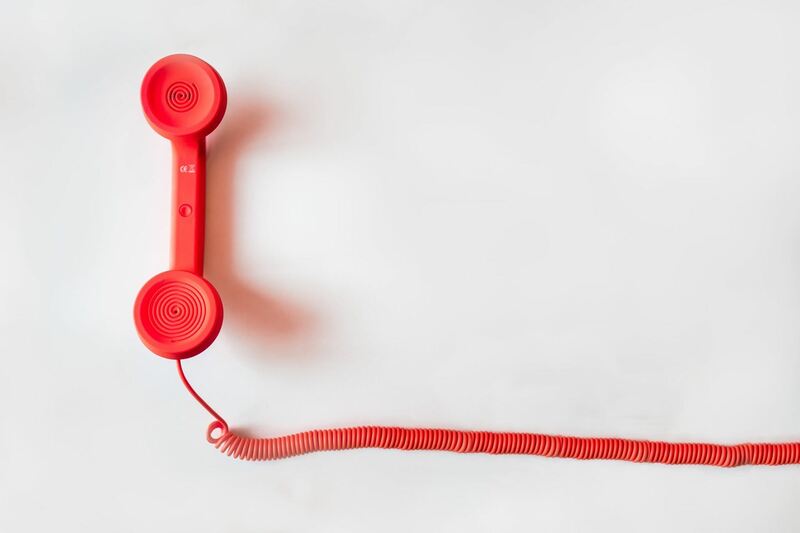 During the call, Minister Simpson asked for our members' to help identify and find solutions to some of the expected issues under the new contract, especially pertaining to challenges of rural and remote services providers. Accordingly, I have scheduled a virtual discussion meeting to discuss rural and remote challenges under the new contract set for Friday, February 22 from 10:00-11:00 am. For more details and to RSVP your participation, please go to our website. Whether you are delivering a WorkBC contract or supporting one as a subcontractor, ripples of change are being felt throughout the sector. Explore the impact of change, and the transition process on already full lives. Teach strategies for staying positive and optimistic during challenging times. Reflect on participants' careers, exploring what’s next and what’s possible. Examine how the interaction between capacity and challenge impacts career engagement. Whether you are suffering a loss of a job or ramping up for a new contract, this professional development opportunity will provide you with the tools you need to come out on top. As always, I welcome your comments and concerns. Meeting in the office of the Minister of Jobs, Workforce Development and Labour, Patty Hajdu. Minister Haidu was in St. John's so we met with her (at left) Western Canada Regional Adviser, Joshua Lindner, and Policy Advisor, Douglas Wong. Also in the photo are (centre) Gladys Okine of First Work Ontario and Valerie Roy of AXTRA Quebec. We represented BC's interests through CCCBET ( Canadian Coalition of Community-Based EmployabilityTraining). This past week I attended the CANNEXUS Conference in Ottawa. My trip on the behalf of ASPECT members always has several parts to it: to meet face-to-face with ASPECT members who are also attending, learn about emerging trends in the sector, to attend the Canadian Council of Career Development annual meeting, meet with my counterpart board members of CCCBET, meet with Federal Government contacts, and of course to networking, networking, networking. As I write this I'm still unpacking everything that I heard and experienced. Request for political intervention in shortening the time lag between the close of an RFP to the contract award. 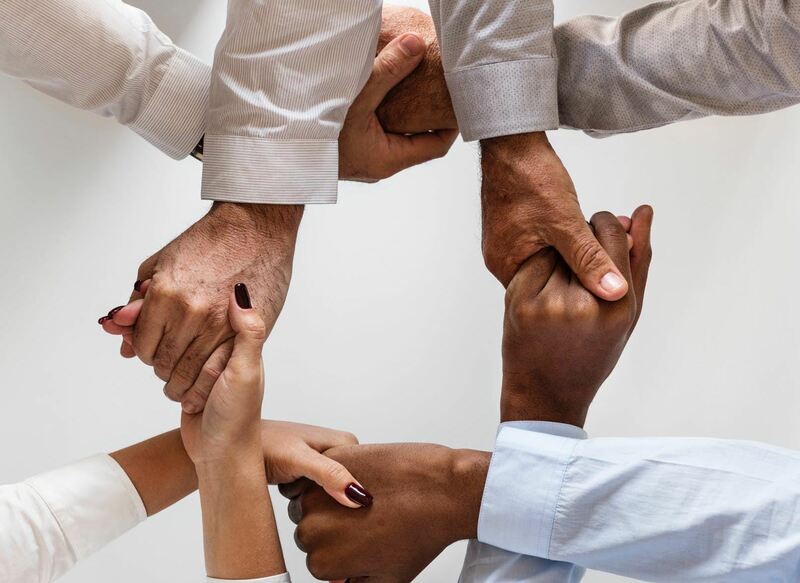 We see this as a major impediment in the government's goals to respond to workforce needs quickly as well as a significant hardship for community-based organizations. We reiterated the networks we represent across Canada and in communities throughout the provinces. We also offered our ability to conduct valuable research to inform policy development and implementation. We talked about the opportunity to inform government and government staff about the complex history of Public Employment Services as outlined in Dr. Donna Wood's book Federalism In Action: The Devolution of Canada's Public Employment Service 1995-2015. We talked about best practices for community consultation before new funding and policy are created and how CCCBET members and the community organizations they represent can assist with that consultation. It was an almost hour-long meeting and much more was discussed, but the above are our main points. For more information on what I heard and saw at CANNEXUS, please see a separate blog post with more information with links to resources.